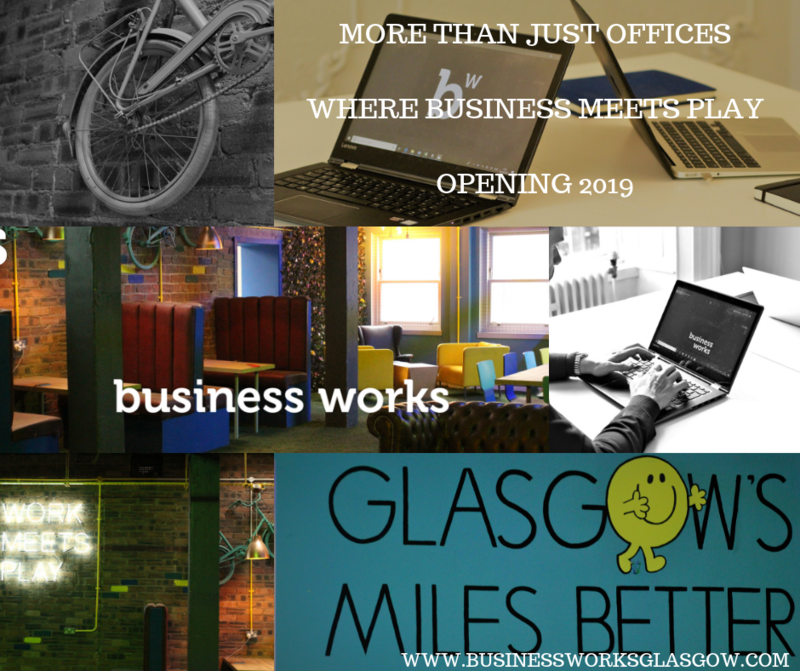 Home - News - Business Works Glasgow – Opening Spring 19! Welcome to Business Works Glasgow. Serviced offices, co working and business hub in Glasgow. Enter a space where business meets play, where the restrictions of conventional offices are lifted and give way to a bright and open space that encourages creativity and inspires business growth. Flooded with natural light, our private, yet and open spaces are designed to suit your needs in this beautiful Bath street town house location. Just a few minutes walk to Glasgow’s most iconic locations, businesses can draw inspiration from the stunning design that catches your eye at every angle, at The Business Works, you won’t feel like you’re at work, you’ll feel like you’re part of something bigger, something inspiring, something ever evolving and we will support your business needs every step of the way to create a unique and professional, yet relaxed environment. At Business Works, it’s all included. From flat whites on tap, to fully stocked meeting spaces, think rooms and relaxation zones we’ve thought of everything. Business Works operates a flat, monthly fee which includes everything to support your business. Our modern and dynamic meeting rooms are a great way to invite clients to a professional and inspiring space to conduct meetings, or just to take your team into a new environment to conduct brainstorming sessions, fitted with all the AV requirements you’ll need, fresh fruit and snacks, tea and coffee – all included, whilst our Space Bar provides a space to relax, connect and unwind. We’re committed to creating a coworking environment where businesses can network, share ideas and play!